Tim Masters, left, says he wants Lt. Jim Broderick held accountable for a murder investigation that began when Masters was 15. (CNN) -- The accuser stood accused Friday as a Colorado detective faced charges he lied in the case that wrongfully sent Tim Masters to prison. Masters, who served nine years of a life sentence after his 1998 arrest in Peggy Hettrick's murder, has said he hopes Fort Collins and Larimer County will finally acknowledge that he was railroaded. The city and county have paid Masters a combined $10 million to settle a civil rights lawsuit related to the conviction, but they painted the payouts as business decisions rather than reparations. "I am anxious to see if the leadership in Fort Collins will finally publicly admit my incarceration was a mistake or if they will continue this charade that their people did nothing wrong," Masters said in a statement provided by his attorneys. Lt. Jim Broderick, one of the lead investigators in the case against Masters, appeared Friday before specially appointed Judge James Hartmann in a hearing that lasted about 12 minutes, said Colorado Judicial Branch spokesman Rob McCallum. Broderick listened to the perjury charges against him but waived his right to hear a formal reading of the indictment. He spoke only when Hartmann asked him questions and did not enter a plea, McCallum said. He is scheduled to be back in court for a status conference September 28, McCallum said. Masters was 15 when Fort Collins police began investigating him in the 1987 murder of Hettrick, whose mutilated body was found in a field near the home Masters shared with his father. If convicted, he could face nearly 50 years in prison and millions of dollars in fines. The charges cover events spanning more than a decade and include allegations that Broderick intentionally made false statements in Masters' arrest warrant application, at his preliminary hearing and at his trial. Chief Dennis Harrison, in the past, has staunchly backed his patrol lieutenant's work on the case, but this week he sounded markedly more reserved in his defense of Broderick. He said he would not "blindly" support anyone without seeing what new evidence prompted a grand jury to hand up the indictment last month. The Fort Collins Police Department also has reopened its internal investigation into Broderick, who is on paid administrative leave. "With questions raised criminally about his veracity, there's no way we could keep him working right now," Harrison said. He noted, however, that multiple outside investigations have previously unearthed no evidence that Broderick committed any crimes. Buck was among those investigators. In 2008, Buck concluded that mistakes were made in the Masters investigation but that none of those mistakes was criminal. 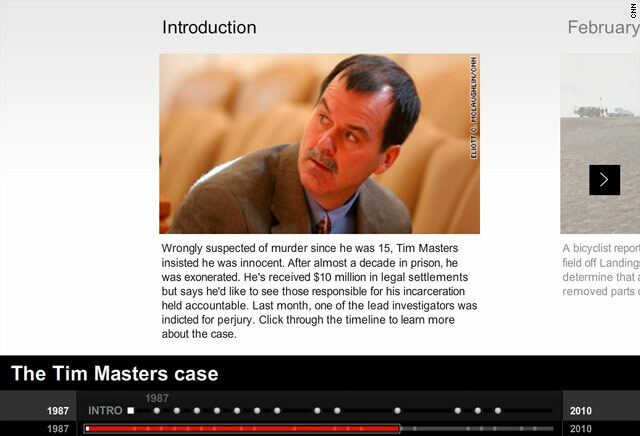 Masters, then 15, quickly became the prime suspect in the slaying, but he was not convicted until 1999. He was sentenced to life in prison. In hearings that began in September 2007, Masters' new defense team alleged that police and prosecutorial misconduct marred the investigation and trial. In January 2008, a judge threw out the conviction and freed Masters after DNA evidence pointed to someone else. Masters has since received $10 million in settlements from the city and county, but no apology or admission of wrongdoing. In October, six months after announcing his candidacy for one of Colorado's U.S. Senate seats, Buck requested that neighboring Larimer County allow him to reopen the investigation. Broderick's Denver-based attorney, Patrick Tooley, said he is waiting to see the transcripts of testimony to the grand jury, documents that will come out during the discovery process. "We adamantly deny any wrongdoing," and Broderick looks forward having his case heard in court, he said. Tooley said this week that he would not speculate on Buck's motives or timing. "I want to try this case in the courtroom," he said. But shortly after the indictment, Tooley told The Denver Post, "As far as I can tell, the only thing that's changed since July of 2008 when Mr. Buck issued his report is he is now running for office." Harrison said he has heard "delicately put" insinuations that Buck's motivation is political, but he, too, wants to refrain from speculation. "It's a tight Senate race. Some people want to say that. I'm waiting to see what the evidence is," Harrison said. Buck declined repeated requests for an interview. An administrator in his office said that despite granting several interviews after the indictment, Buck would make no more statements to the media. She e-mailed CNN a news release saying Buck requested to reopen the case after "information previously not available" was uncovered in Masters' civil proceedings. Among the charges in the indictment are that Broderick intentionally lied about an FBI profile used to support Masters' arrest, shoeprints found at the crime scene, a fellow investigator's crime scene observations and his own degree of participation in the case. Attorney Maria Liu, part of the legal team that secured Masters' freedom in post-conviction hearings, said it probably took Buck considerable effort to "actually understand all the material and how it interplays." She speaks from experience, as it took Masters' post-conviction team more than four years to unravel the evidence. The eight counts against Broderick merely scratch the surface of his alleged efforts to obscure or bury evidence at Masters' trial, Liu said. She claimed Broderick withheld "binders of material" that would have been crucial to Masters' defense. Liu, who now considers Masters a friend, would like to see Broderick imprisoned because "he completely ruined Tim's life." Not only is Masters a victim, she said, but so is Fort Collins, a college town of about 137,000 tucked into the Rocky Mountain foothills. [Broderick] has loaded the criminal justice system for Tim Masters and God knows how many other people. "I want to see [Broderick] prosecuted just like anyone else who's committed a crime," she said. "He has loaded the criminal justice system for Tim Masters and God knows how many other people. He completely eroded Tim's opportunity for a fair trial." 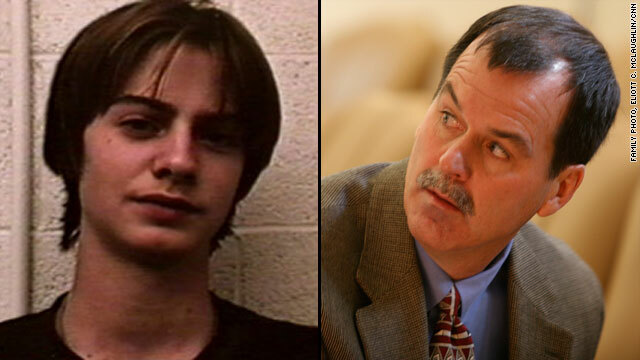 Broderick spoke with CNN in late 2007, before the discovery of the DNA evidence that cleared Masters in Hettrick's murder. Broderick declined to address allegations of police and prosecutorial misconduct but said he stood by his investigation. He welcomed any new evidence in the case, he said, because "the last thing in the world I want is someone convicted of a crime they didn't do." Friday's hearing marked Broderick's first court appearance as a defendant in this long-running legal drama. McCallum said several demonstrators gathered peaceably in front of the courthouse Friday, some protesting Judges Blair and Gilmore -- whose retention voters will decide in November -- and others protesting Broderick. Bail is often decided at first appearances, but Buck has told Colorado media that Broderick is not a flight risk and will be released on his own recognizance. Each felony perjury count carries a sentence of up to six years in prison and a $500,000 fine. Said Masters in his statement, "I am pleased to see a glimmer of hope that the man most directly responsible for my wrongful incarceration might be held accountable for his actions to some extent."